Whether you have never worn a stop snoring device or if you are just fed up with trying countless gimmicks that don’t deliver results, you are probably wondering if Good Morning Snore Solution is a product you should even bother considering. Good Morning Snore Solution works a little differently than other anti-snoring mouthpieces, so try the test below to see if the approach works for you before purchasing the product. First (while awake) make a snoring sound, and try to do it the way you do when you’re sleeping (if you know the feeling, some people are unaware). Don’t hold back. Next, stick out your tongue and hold it with your thumb and finger. Try to make the same snoring sound you did earlier. Can you do it? Chances are good that you probably can’t, and if you can, it is likely very faint. Good Morning Snore Solution aims to replicate this effect on the tongue. You won’t have your tongue stuck out as far as you just did for that little test, but it will be held forward in the same manner. Good Morning Snore Solution suctions to the tip of your tongue to hold it forward. When you fall asleep all the muscles in your body relax. This includes your tongue. It collapses back towards your throat and can cause a blockage to the airway. 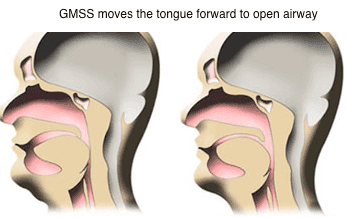 In this position, the soft palate and uvula can vibrate against the tissues in the throat. The vibration makes the snoring sound (in some cases). Good Morning Snore Solution holds the tongue, so it can’t collapse. This keeps your airway clear. Not only does it stop the noise; it ensures your body gets the oxygen it needs all night without having to work hard to push air through a blocked area. In my Good Morning Snore Solution review I cover this in full detail. 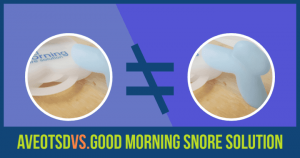 Still not sure if Good Morning Snore Solution is the right snoring mouthpiece for you? It’s hard to say if any anti-snoring mouthpiece will do the job or be comfortable until you try it. Good Morning Snore Solution has a money-back guarantee, so I’d say give it a try and send it back if it doesn’t do the job. 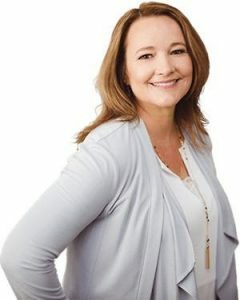 The company behind Good Morning Snore Solution has a good reputation, unlike some anti-snoring mouthpiece manufacturers, so I think the guarantee will be upheld.